Donnie Yen goes back to modern day action with this undercover police drama but will this slice of fist and foot action be special? 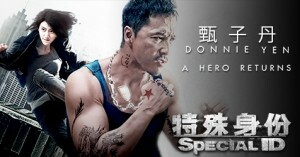 Donnie Yen plays Chen Zilong an undercover police officer who is now a Triad Boss but wants to get out but must first complete a mission where he teams up with policewoman Fang Jing (Jing Tian) to take down Sunny (Andy On) who has betrayed his Boss Xiong (Collin Chou) and is wanted by the law. Chen knows Sunny and mentored him as he came up in the ranks of the Triads. So Xiong watching Chen and Sunny keen to show Chen hes not an understudy any more things start to escalate to its bloody and final conclusion. First up let me say a love of what John Salvitti action choreographer on Special ID has done, he's brought the MMA to an action film with great success giving it a low-down and dirty feel to the fight scenes. There are many with the final fight with Andy On really being the best of the bunch but that's where the love ends. The film doesn't quite get into gear and is nowhere near the standard of Flashpoint or Sha Po Lang with dashes of humour through the film that feel, well, out of place and really you couldn't care less about the story other than the motivation to get to the next fight scene. It feels like a missed opportunity with Donnie looking like a Triad with tattoos to boot he looked the part and Jing Tian once again giving the best performance on the back of Police Story 2013. Collin Chou is woefully left on the sidelines to snear and snarl without a fight scene thankfully Andy On is on hand to bring us a memorable villain that packs a punch and as I said before that final fight scene is still a wonderful thing to see. Only problem is nothing else holds you to the film. 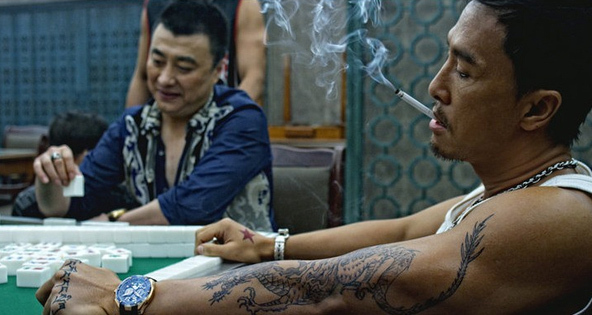 So not what the Donnie Yen's fan wanted its ok but could have been great here's hoping Iceman 3D and Kung Fu Killer turn up the action and style along with a decent story to fall in love with. Thank you Sir for stopping by Ive pinged you an email if you get chance to look at it.